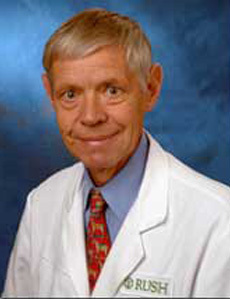 Gunnar B. J. Andersson, M.D. Ph.D.
With a history spanning 175 years, Rush has been part of the Chicago landscape longer than any other health care institution in the city. Rush Medical College received its charter on March 2, 1837, two days before the city of Chicago was incorporated. Rush Medical College was the first medical school in Chicago, and one of the earliest in the Midwest. The founder of Rush Medical College, Daniel Brainard, MD, named the school in honor of Benjamin Rush, MD, the only physician with medical school training to sign the Declaration of Independence. 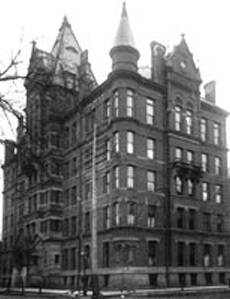 The hospital was established in 1883 as Presbyterian hospital, and later merged with St. Lukes Hospital in 1956 to create Rush-Presbyterian – St. Luke’s Medical Center. The hospital was renamed Rush University Medical Center in 2003 to reflect the institutions influence on research, education, and patient care. The Department of Orthopaedic Surgery at Rush University Medical Center was officially established in 1971. Prior to 1971, orthopaedic care at Rush was provided by many physicians affiliated with the other academic institutions across Chicago. 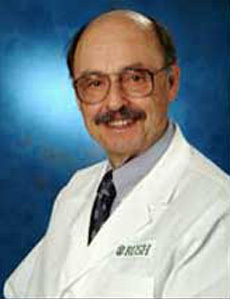 In 1971, Dr. Jorge Galante was named the first Chairman of the Department of Orthopaedic Surgery. The residency in orthopaedic surgery was established concurrently and started with 3 residents. Over the next 30 years, the department rapidly grew by establishing services in each of the major orthopaedic subspecialties and expanding the residency to 5 residents per year. The major focus for the Department has always been patient care, however what has distinguished the Department nationally is its translational research. From Dr. Galante’s original work on porous metal to Dr. Klaus Kuettner’s research on cartilaginous neoplasms, and Dr. Joshua Jacobs’ investigation in tribology, faculty at Rush University Medical Center have transformed orthopaedics through their research. In recognition of the outstanding research conducted at Rush, seven faculty members have been awarded the prestigious American Academy of Orthopaedic Surgeons Kappa Delta Award over the last 40 years. This emphasis on excellence in both patient care and research has been maintained since 1971 by the leadership of Chair Emeritus Dr. Gunnar Andersson and current Chair Dr. Joshua Jacobs. Today, the Department of Orthopaedic Surgery is one of the premier providers of orthopaedic care and orthopaedic education worldwide. 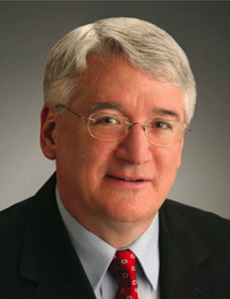 Many of our faculty serve as Presidents and leaders of orthopaedic subspecialty societies. Residents uphold the tradition of excellence with their impressive fellowship placement and many grants and awards they have received. Over 200 orthopaedic surgeons nationwide have trained at Rush and continue the legacy of providing compassionate cutting-edge patient care and conducting impactful bench to bedside research.